In today's competitive environment, automation is not a luxury—it's a requirement for keeping a competitive edge. In fact, the benefits of automation are so numerous that you can't afford to ignore them. When you automate daily tasks, you have more time to focus on growing your company. Best of all, your marketing activities don't grind to a halt on evenings and weekends. When your business becomes automated, you can quickly and easily check your progress from any web browser. The right strategy combined with powerful and practical automated systems gives you an edge over your competitors. You'll attract more customers, and spend less time, money and energy winning them over offline or through traditional marketing channels. Automation leverages the best technology day and night, whether you're there or not. Email has the highest ROI of any marketing tool. Your email list is your goldmine. It's critical to all your marketing and is your most valuable asset. To capture names and emails, it's essential that you make an irresistible offer, something like: "Free Special Report: How to Dramatically Boost Your Website Traffic in 30 Days." An email subscribe button is no longer enough. With preprogrammed auto responders, you can offer digitally downloaded educational material to your website visitors who share their names and email addresses with you. When your prospect's data is entered in your automated website database, it can then be programmed to trigger a well-crafted response that will transform them into customers. How many visitors come to your website every month? When you send emails, how many people actually click through to your website? These answers are important because they'll tell you what you need to improve, such as how compelling your titles are, or the copy on your website's landing pages. You won't know this until you start measuring. Human-to-human connections are the essence of marketing. Website automation at its best is just an extension of the human touch. It's pure service at its core: anticipating the needs of your audience during their journey and then providing the right information at the right time in the right context to the right people. Instead of just being able to handhold a few people with your personal touch, automation lets you help thousands or tens of thousands. With an automated website, you can provide personalized, relevant content to your contacts throughout their entire relationship with you. You don’t need statistics to prove the value of personalized messages. It makes sense: consumers are more responsive to brands that care. Think about your buyer personas and where they are in the buyer's journey—where they are at the beginning of automation, and where you want them to be at the end. Maybe you want them to go from being aware of your product or service to making a purchase from you through your Shopify ecommerce portal. Your automated website can methodically move people further down the funnel by nurturing them from leads into customers. The single most important part of planning marketing automation is sending people the right content at the right time. TOFU (top-of-the-funnel) content helps you build a subscriber base for your funnel by educating them through helpful content. When it comes to your leads, offering them amazing, quality content and keeping them engaged is everything. This process of engaging your MOFU (middle-of-the-funnel) leads is called lead nurturing. Lead nurturing leverages your content to help guide your lead to see you as a someone who can solve their problem. You need to reach prospects on an individual level, which sounds easy enough, until your database grows from 50 to 5,000. The main purpose of an automated website is to initiate and maintain a valuable relationship with your audiences. You do this by creating deep content on your site that educates them beyond the problem you solve, into how you might be a fit for them. Start sending leads personalized emails with longer form content such as ebooks. Automated websites see the biggest ROI in the middle and bottom of the funnel (MOFU and TOFU), and content is the fuel. The most effective way to build trust with your prospects is to deliver content-rich and relevant information that they're looking up in Google. Automated websites have tools that allow you to track your keywords and use SEO best practices every time you publish content. Not only that, but it tracks your pages and makes suggestions about how you can optimize them and improve your SEO. Your content motivates prospects to revisit your site, and acts as your 24/7 salespeople. By continually creating quality content that appeals to the different segments of your audience and can be found by them through organic search, you constantly improve your search engine ranking. When you first sit down to think about all the possible ways you could market, you may may come up with a long list of possible campaigns. Automated websites make it important to focus on stages in your funnel, and your buyer personas. Imagine communicating with 10,000 people on Facebook, Twitter, email, and via your blog. Human-to-human relationships are difficult to cultivate, track, optimize and scale. This is why marketing automation software is so important. A tool like HubSpot comes with all the tools you need for both marketing and sales. With a built-in CRM (customer relationship management) database that integrates seamlessly with your marketing database and tools, you can literally track all your sales and marketing interactions at a glance. Automated websites integrate your social media tools, so your customers can interact with your company across all sorts of channels—from your email to website to multiple social media channels—and track every single interaction in a database. It all starts with using top-of-the-funnel channels to drive traffic to your website that you can convert into leads. This means staking out your expertise and dominating the SERPs (search engine results pages) for your chosen space. A number of surveys of B2B buyers confirm that about 60% of the B2B buying process is now entirely online. At the bottom of the funnel (BOFU) is when the buyer seeks details such as pricing, technical specs, and social proof. If your website or content offers can't answer these questions easily, the lead is going to drop you off the short list. Once leads start asking these questions, your marketing team can start providing case studies, reviews, and technical details focused on your solution. The buyer will be receptive, because they are closer to making a decision. Inbound marketing is about creating compelling content that demonstrates your expertise to your audiences. If you use personalized content, you can enhance your visitor experience. Having an automated website means that you can interact on your website by showing different content to different segments of your audience. By catering your site to their unique interests, you can help them take the right next step in their buyer's journey. The HubSpot content management system allows you to segment all of your marketing data to create highly relevant and personalized experiences for your site visitors. Segmentation can be done by using any contact property such as industry or city, referral source or device type. Make sure whatever marketing automation platform you choose gives you the ability not just to send email, but to make your website content smarter. These are a great way to personalize your online presence and are a valuable tool provided by the HubSpot content management system . Smart forms remember the user's information so that they don't need to type it out again. Reducing the work required to fill out a form lends itself to higher conversions. In addition, these forms also allow you to collect ongoing data about a specific prospect. The first time a visitor is called upon to fill out a smart form, the form might require rudimentary information such as name, email address and city. When a prospect makes a subsequent visit to your site the initially collected information is remembered and the form can ask for higher level information such as type of industry or position within a company. HubSpot's content management system allows you to create custom personalized content in a number of different ways. For example, you can create custom, on-page content specific to your separate buyer personas. If you already know that a prospect is interested in social media advertising, you can push that type of content right on your homepage. You can also create dynamic smart content in your email marketing campaigns. After segmenting your contact list, you can make some parts of the email smart so that your contacts receive content that is most relevant to their industry or where they might be on the buyer's journey. 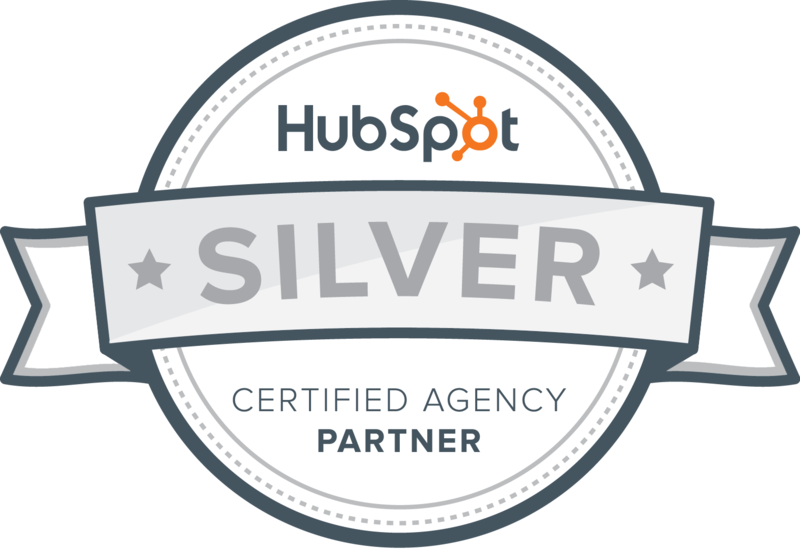 HubSpot allows you to change your CTAs based on previous user activity and/or information collected. You will not be able to maintain your prospects interest if you continue to provide them with something they have already obtained. For example, if a prospect has already downloaded an ebook outlining the differences between SEO and pay-per-click (PPC) advertising, then on their next visit you might present a CTA that offers a tip sheet on creating a successful pay-per-click campaign. Having dynamic smart CTAs will help you provide new and helpful content to your visitors while maintaining their interest. An automated website recognizes the unique needs of visitors and optimizes content for each viewer. The software helps to help nurture contacts more efficiently. It is responsive (mobile friendly) out-of-the-box, fully integrated with every marketing channel, and adaptive to the changing needs of leads and customers. It consists of email, workflows, lists and social tools that work with a large database of contacts to nurture them down the funnel. Website automation allows you to nurture prospects with highly personalized, useful content that helps convert prospects to customers and turns customers into delighted customers. Automated websites coupled with a strong TOFU (top of the funnel) strategy will feed your database by helping you to build a subscriber base for your funnel by educating them through helpful content.